3D Printing – Failure or Future? Recently, there has been growing interest in 3D printing among the general public. With the opportunities it presents for slashing manufacturing costs, enhancing creative design capabilities, and lightening the environmental impact of industrial practices, it is no surprise that this technology is becoming a hot topic within the construction community. But what exactly is 3D printing? How does it work? And how is it going to influence the future of construction? The original design for a 3D job comes from a CAD file or a 3D scan. Printing always involves layering substances on top of each other, though the methods for holding them together vary depending on the type of material. Techniques like selective laser sintering (SLS) deal with solids, melting them in precise, exacting ways, while those dealing with liquids— such as stereolithography (SLA)— cure the layered parts as directed. Some large printers can form entire buildings onsite, while others reside in centralized offsite locations and produce components for later assembly. The slightest bit of research into the topic will reveal an enormous number of reasons why 3D printing is a gift to the future of construction. For a start, printed buildings have much lower production costs than those assembled through traditional methods thanks to diminished need for raw materials and labor. Because less human involvement is necessary for potentially dangerous tasks, it also decreases the risk of serious injury on the worksite. Additionally, printed structures are much more environmentally friendly to build. The process generates less waste than traditional methods, utilizes recycled supplies, and— according to the Association of Construction and Development— even consumes 40% –60% less energy. 3D printing is not perfect, however. Reduced labor costs/risks may mean fewer opportunities for employment on any given project unless traditional construction workers find a way to evolve with this new technology and remain relevant. The number of materials that can be used in each project is dependent on how many different types the printer can handle at once. There are also logistical issues at play, such as how to transport a printer large enough to create a whole building, and how to store it on site so that it is properly protected. There are many up-and-coming uses for 3D printing in construction. One of the most practical of these is modeling, which engineers and contractors can collaborate on to create. These accurate miniature representations have numerous advantages over traditional drawings and schematics. One such benefit is the ability to provide clients with a downsized copy of the assignment. Most customers will find it difficult to picture an outcome from a blueprint unless they are trained in construction. A 3D illustration gives customers the opportunity to visualize the final product and communicate any desired changes or concerns before the project begins, supporting high customer satisfaction. This form of modeling also minimizes the risk of errors in the building plans. Any incorrect specifications are included in the printer’s rendition so they can be identified and fixed before they develop into a much larger issue. Additionally, inefficiencies or opportunities for more aesthetically pleasing designs may become more evident upon handling a 3D model than looking at a blueprint. Because 3D printers can place supplies more precisely and exactly where needed, the possibilities for design are massively enhanced over current methods of construction. With the option to work with a range of unconventional materials, from super-strong plastics to cornstarch mixtures, designers are now able to create structures that fold around on themselves or mimic the thin fibers in bone. The cost-efficiency of printed buildings suggests that they could serve as inexpensive alternatives for individuals currently living in sub-standard conditions. Chinese company WinSun recently constructed a five-story apartment building for a total of about $160,000. 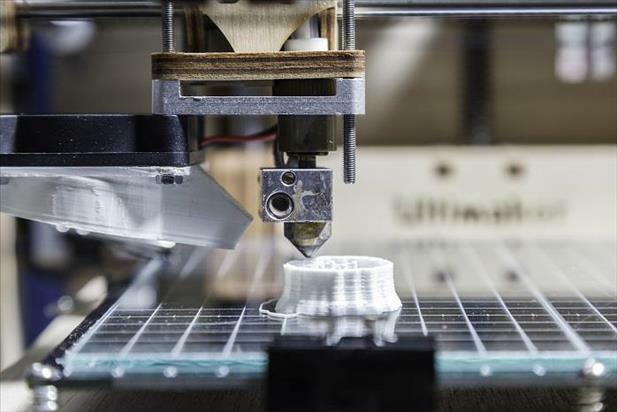 Though 3D printers have not yet become widely utilized in American building practices, advances being made in other countries seem to suggest that the industry may move in that direction. If so, it will be prudent to educate yourself and maintain a working knowledge of the technology involved in order to be a valuable member of future construction teams.